What makes the shopping places in Bangalore an ideal place to visit for any shopaholic is the variety that they present in various forms. One thing, not all are aware of that is India’s first shopping mall was opened in Bangalore. The city is also great for shopping in the form of shopping streets, designer boutiques and little hubs selling everything from high end to an affordable rate. Here are the best shopping options available while you stay in Bangalore. 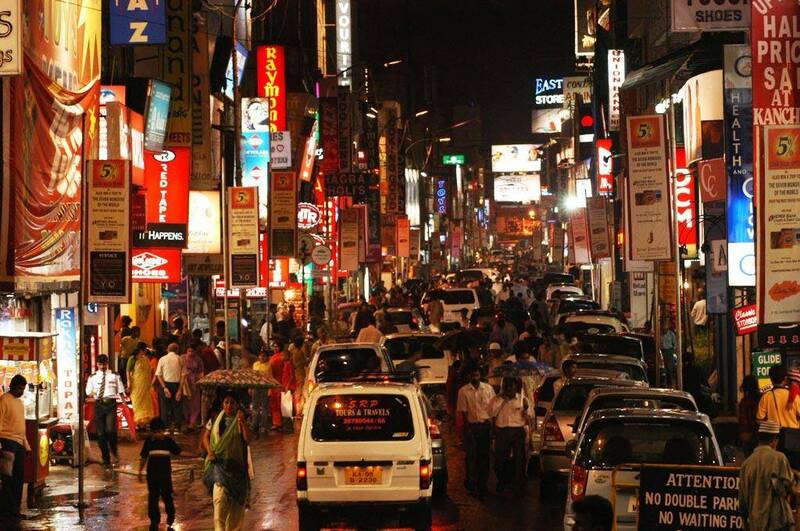 Commercial Street is considered one of the most famous markets in Bangalore. For Street shopping Commercial Street is a paradise in Bangalore, with having superb quality clothes ranging from costly to medium to cheap. For purchasing garments, imitation jewelry, sports goods, and footwear it is one of the top destinations. One can also look for antiques at a lower price and also linen for your house. One thing to keep in mind is that you will need to bargain here. One can get the best, with great bargaining skills. All you need is your wallet, a bottle of water and, of course, a day to get going. 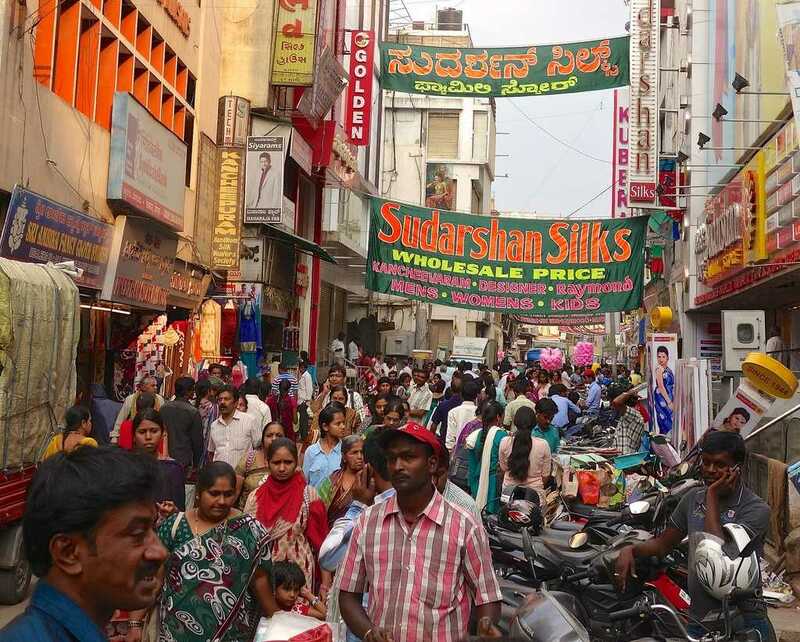 To shop for beautiful silk sarees, especially at Prasiddi and Deepam Silks, MG Road is one of the busiest commercial centers in Bangalore. To purchase handicrafts from places such as Cauvery Emporium MG Road is a perfect place to haunt. India’s oldest bookstore Higginbotham founded in 1844, is also located here and for every book-lover is a must visit. It houses street vendors as well as high-end fashion shops. If you are looking to get yourself some new clothes or are keen on window shopping visit this market. Being a saree spree destination it is one of the best places to go saree shopping. Going beyond shopping, Phoenix MarketCity also gives you an option for top quality food, entertainment, and nightlife all to make you go back there every now and then. Apparel accessories to footwear and bags, fill your shopping bags with everything from high-end brands like Zara as well as Indian outlets like FabIndia. Phoenix Market City is one of the largest malls in Bangalore. It is located in Mahadevapura on the White Field Road and the special thing about the mall is the open courtyard in the front. It also hosts multiple events like musical concerts, live shows, painting competitions. In Bangalore, it has a wide range of shops and food courts to outfit the needs of the public. 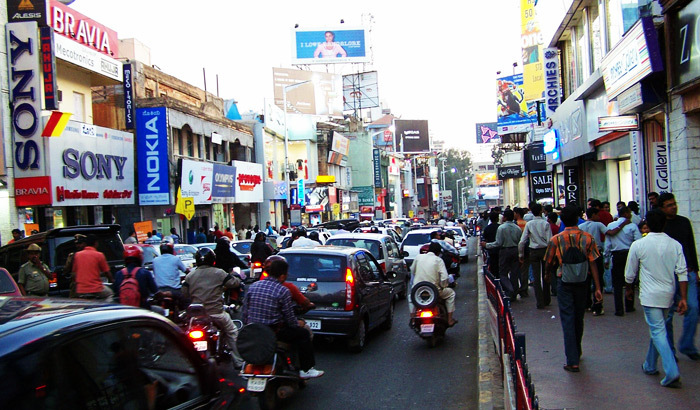 Chickpet is also another most visited and adventurous shopping street. 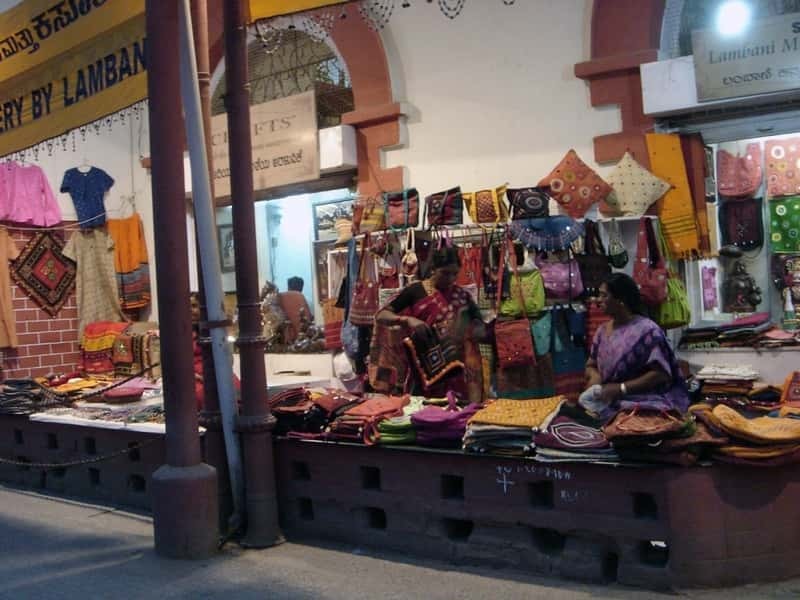 Famous for its silk sarees it is one of the oldest commercial districts of the city. With a formidable history of 400 years, the market swears by the quality and variety of saris and wholesale dress materials in this famous market. It is also known for gold and silver jewelry available near it in raja market. Go to Balepet to buy some of the most good looking bangles in various color and materials. Also, you can visit Nagarthapet to have a look or if you want to buy locally made musical instruments. You will have to make way through small lanes and bylanes as Chickpet is crowded and commercial but it will be all worth it. Found 3 kilometers from City Market, Brigade Road is situated in the middle of MG Road and Residency Road. Offering plenty of choices suited to each financial plan, Brigade Road offers great shopping knowledge. Stroll through the footpaths to look around showrooms exploring pieces of clothing, hardware, footwear, and gems. Aside from that, drop in on any of the various hubs of clothing shops such as Eva Mall that move non-marked however beautiful tops and dresses at a moderate rate. You could deal well with the peddlers to buy shirts, key chains, wallets, and watches. Try to visit Blossom’s Book House which is one of the most established bookshops in the city and each book lover should visit it once. Dabbed with various bistros, eateries and street sellers, Brigade Road will leave you spoilt. 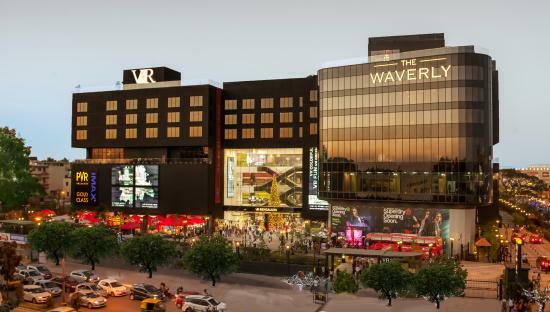 Not wanting to call themselves a mall VR Bengaluru is located in Whitefield Road, Bangalore. Nicknamed as the Black Box on Whitefield Road, this dazzling new space is worth the trip to Whitefield. Picked up fast by many international brands like H&M, BCBGeneration, and Superdry is has many god shopping option. If you’re hoping to do a spot of shopping this is the place to go. They also have the concept store for Adidas Originals the only one in the country. Speaking about food, they have outlets serving everything from North Indian to South Indian meals as well as Chinese and Middle Eastern dishes. VR Bengaluru also hosts regular farmers’ markets, weekend performances, and has a legit carousel for endless entertainment for kids. The city is quite affordable to live with great flats and PG for boys and girls in Bangalore. Roomsoom offers the best and most affordable PG for Boys and Pg for Girls.